The key to manufacturers thriving in the modern maintenance era is harnessing the data to your benefit – and it requires a modern maintenance solution to keep all of your assets, people, and processes working together. The world of manufacturing maintenance is evolving as we all witness the progress of the Fourth Industrial Revolution. 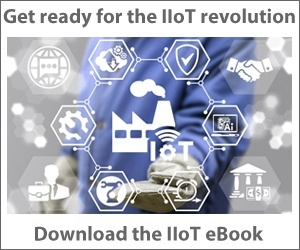 Like steam power, assembly-line manufacturing and then robots, this industrial internet of things (IIoT) movement is changing manufacturing. The plant floors of today are filled with technology and interconnected machinery and equipment that can be adjusted and automated to save time and work smarter. Your CMMS (computerized maintenance management system) is a prime recipient of these new-found powers and abilities. Just as with the previous industrial revolutions, today’s revolution is highlighted by machinery advances that have optimized production, reduced inaccuracies, required less labor hours and created higher product quality. Automated sensors that perform continuous condition monitoring to keep our high-tech machines at high productivity are among the critical advances for industry. All taking full advantage of the cloud, these high-tech tools allow today’s manufacturers to better care for assets and allow them to run stronger for longer. With all of the technology changes and advancements, a CMMS has been a constant since the 1960s. Software providers today as back then must make sure their solutions use any and all tech advancements to help achieve superior maintenance, reduce downtime and improve profitability for manufacturers. A recent example of the application of this is with the introduction of mobile devices. It's all about giving operations professionals in manufacturing the tools they need to simplify their day-to-day tasks while also getting smarter about what should be done when it comes to assets. When data can lead the way for more strategic decision-making, assets, staff and overall equipment effectiveness (OEE) all improve together. With the speed of today's work and technology, relying on outdated maintenance routines isn't enough to help your team maintain your assets at peak condition. Proactive, or preventive, maintenance (PM) is essential to keep from running your machines to failure. While PM is a great step toward proactively maintaining your assets (and reducing downtime in your production schedules), the next step toward true efficiency is to harness the data in your machines with predictive maintenance (PdM). In a recent survey conducted with Plant Services, around 31 percent of maintenance professionals indicated that they know their ratio of reactive to proactive work, and 28 percent weren’t sure how much work they had in their backlog. Not knowing this ratio is common and understandable. With everything going on in the day, crunching data on work orders can feel like an extra task that detracts from working on your assets. That’s why it’s important to have a tool that not only organizes work orders but also automatically provides you with valuable data that helps your team continuously improve. To adequately capture the health and status of your machines and make sure you're focused on what’s most important, your maintenance team needs a tool that empowers them to own their assets. There are many types of data flying around a factory. Whether you’re trying to capture this data from building automation, PLCs/SCADA, OPC, or somewhere else, it’s vital that your CMMS can receive and utilize data from any source. It’s also important to understand that there is a range of technologies, from basic “DIY” sensors to embedded technology in modern production assets and everything in between. To ensure that you’re set up to successfully integrate all types of data on your shop floor, look for a CMMS partner that has an “agnostic” IoT strategy. That way, you won't be locked in to using a certain type of hardware and can remain flexible as your organization grows. IoT is a game-changer from the plant-floor standpoint, but its DNA is in CMMS. The two primary use cases are for “alarm” work orders to get created and for meter-reading, usage and PdM-related metrics to be absorbed from IoT to create a work order. Creating work orders based off of machine feedback without any human interaction is what makes IoT so incredibly valuable. The next step, which many organizations are just beginning to take – involves machine learning and advanced predictive analytics and ultimately even artificial intelligence (AI). In an ideal world, every work order would be proactive, and you would never have to worry about your machines when you go home at night. But the reality is that unplanned downtime can and will happen, and you will always have a backlog of PM and non-PM work orders. Given an average workday in a workweek, you can estimate how long it will take your team to work on these tasks. In our study, we found that a plurality of respondents (around 29 percent) have 3-4 weeks of backlogged maintenance. If you’re constantly putting out fires on the plant floor, your backlog will grow, and very likely your machines won't be getting the proper proactive maintenance they need. Being able to measure your backlog in your CMMS is an important first step. Identifying problems/causes/solutions is key. A more-proactive maintenance culture will reduce backlog to natural levels. With some of your backlog cleared, your team can have more time to focus on important projects and assets to make a difference in your productivity. Inventory is a natural component of maintenance management – after all, without the right parts at your disposal, there’s no way that you can adequately complete a work order. “Stock-out” occurs when you don’t have the part when you need it, and it’s more common than you think. Our study showed that a plurality (34.6% of respondents) experience stock-outs up to 25 percent of the time – that is, the likelihood of a technician needing a part that isn’t in stock is one in four. Stock-outs are a profit killer and should be avoided whenever possible. A CMMS that supports just-in-time (JIT) inventory is a valuable asset. With this technology, you can have better control over what’s in your inventory. JIT supplies you with the parts you need for your assets as you need them. If, for example, you know you’re going to enter into a high-production season, you can check which parts are needed for those assets and order them ahead of time. You can then reserve them for planned maintenance in your CMMS. At the same time, you can ensure that you’re purchasing only what you need to save on costs. When you have a laser-like focus on your work-order backlog and inventory, you can move toward a more efficient, lean environment. So how do you get started identifying areas for improvement, and how can you ensure that you follow through? Paul Lachance is senior manufacturing adviser for Dude Solutions. He has spent his entire career devoted to optimizing maintenance teams by enabling data-driven decisions and actionable insights. He wrote his first CMMS system in 2004 and has since spent his professional career designing and directing CMMS and EAM systems. A regular speaker at national trade shows, he’s been featured at IMTS, Fabtech and the SMRP annual conference as well as several industry magazines. Assess – First, identify what areas of your operations need improving. Your data will help you see the weak links. This stage helps you take an honest, detailed look at the little tasks during the day that quickly pile up to create inefficiency. Prioritize – Next, prioritize the various tasks and projects on your list, putting the ones that will have the greatest impact (or are to your greatest detriment) at the top of the list. This stage should provide you with clear, actionable goals that you can make plans for. Plan – Once you have your priorities set, make a detailed plan for execution. Work with your CMMS vendor on ways to improve and meet benchmarks using your data. Execute – Now, execute your plans. At this stage, collecting data is also crucial. By tracking your progress, you can see how effective your plans are at accomplishing the priorities you’ve developed and identify any issues or areas for improvement. Maintain – Continuous improvement is the last step. The key to continued success is to always reassess your progress as a cycle, using data that you’ve collected to measure your accomplishments. Each step puts you on a path to improving daily processes to influence more positive outcomes and savings in time and resources. Below is an example of potential savings with moving from calendar-based PM to usage/meter-reading based PdM. With insightful data at your fingertips and a cycle designed for success, you can sustain savings and a new level of efficiency within your plant's operations. This will benefit your organization as a whole for the long term. Many manufacturers already have an idea of where they can improve, but it’s that next step toward creating a plan and executing it that can be a challenge. To do so, set realistic expectations; ensure that you have buy-in for new technology; and let your data lead the way to new findings that can make a difference in your daily work and overall uptime. A CMMS can be the key to organizing it all and bringing your important data to light to pinpoint detractors and create efficiencies. Find a vendor who can truly be a strategic partner on your path to success.